World Youth Alliance | Will you open the next WYA Chapter? Will you open the next WYA Chapter? You could promote dignity without leaving your area. 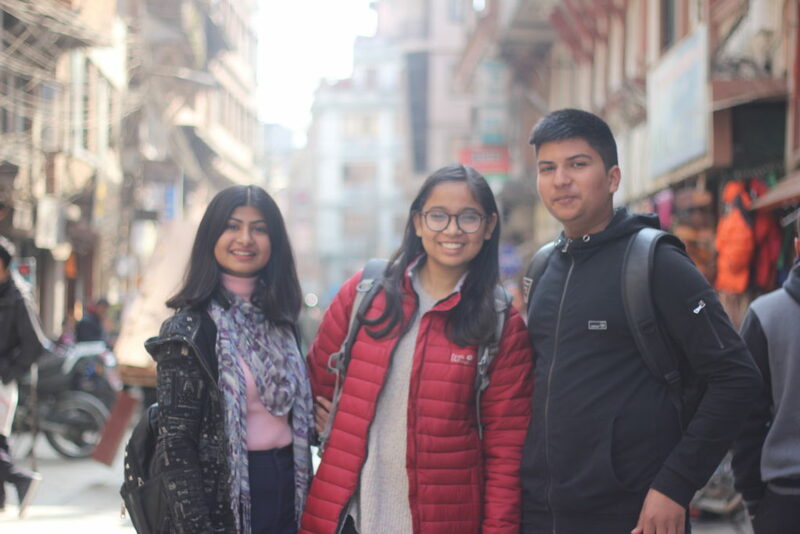 World Youth Alliance (WYA) is giving young leaders the opportunity to lead their communities and educate more youth through opening a WYA Chapter. Last year (2018), WYA opened 17 new chapters around the world. That means at least 17 WYA Members (and their supportive friends) stepped up to promote human dignity to their communities. Will you be part of this year’s team of community leaders? WYA Chapters are local or national branches of WYA that can propose, manage, and implement activities that advance our mission of promoting human dignity through advocacy, education, and culture. We believe in the creativity and leadership of WYA leaders. Through your commitment, skills, and mastery of our work, you could open a WYA Chapter in your school, campus, city, province, or country. WYA High School Clubs are local branches of WYA in high schools. High school clubs are established in partnership with your school/institution. Clubs are required to have a moderator or educator/adviser who serves as the long-term point of contact between the club and the WYA regional office. Approach your student affairs department or school principal to express your intent in opening a WYA Club. 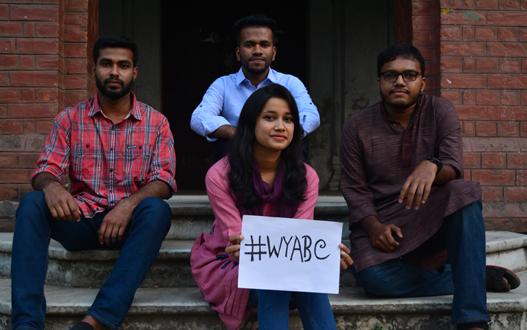 Campus Chapters are local branches of WYA in a college or university. Similar to High School clubs, Campus Chapters are established in partnership with your college/university. Chapters are advised to have a moderator/advisor who is either a faculty or staff. Approach your student affairs department to express your intent in starting a Chapter on campus. City, Province, or Country Chapters are local branches of WYA within a city/town, state/province or country. The Chapter Coordinator coordinates with the WYA regional office. These types of chapters are not required to have a moderator or educator/adviser. What makes starting a chapter worthwhile? WYA Chapters and National Committees greatly contribute to our advocacy by making WYA’s vision and ideals more accessible to young people in more communities. Imagine the impact you can make in people’s lives by simply educating youth and non-youth members alike. Also, the experience of starting and leading a chapter not only impacts others but also enriches yourself–working with a purpose tends to have a life-changing effect! Ready to start? Bring WYA to your community by taking the first step! Step 1: Complete the WYA Certified Training Program (if you haven’t yet). Have you completed the WYA Certified Training Program (CTP) and passed the accreditation interview? In case you haven’t, simply enroll in the program. Taking the course is the biggest requirement in order to establish a WYA Chapter. By being trained, you will learn more about the foundational ideas of WYA, about how to better communicate and articulate our advocacy to others, and how to better lead others. You could take the CTP through the WYAAP Internship Program (recommended), the WYAAP Summer Camp, or through our online training zone where you could complete the course wherever you are, as long as you have a stable internet connection. Step 2: Contact your regional office. If you are interested and committed to open a chapter, reach out to your regional office and communicate with the Regional Director regarding your initiative. You will be asked to fill out a form where you could articulate your vision and plans. For interested members in Asia Pacific, send an e-mail to asiapacific@wya.net, or call our office in Manila, Philippines at +63 2 921 5162. Step 3: Gather a team and fundraise for your chapter. After being trained and gaining approval from your regional office to open a chapter, your first order of business is to gather a team of members and friends whom you could count on to grow the chapter and promote the WYA advocacy. Your team members simply have to be a WYA Member. At least one members in your team should be Certified. And since WYA Chapters are independently-run by WYA volunteers, funding will come from your fundraising efforts. For some school-recognized chapters, this might not be necessary if your school will fund your projects. Otherwise, depending on your projects, fundraising might be essential. Never tried fundraising? No worries. You could always ask for advice or training from your regional office. They say the journey of a thousand miles always begins with the first step. Starting a WYA Chapter has been a unique journey for many of our members over the years, and it could also be a great experience for you (and your friends) to leave a lasting impact on others. Take that step and start bringing WYA to your area today. Currently, there are 15 established WYA Chapters in the Asia Pacific region. Visit this page to check what areas or schools already have a WYA chapter.